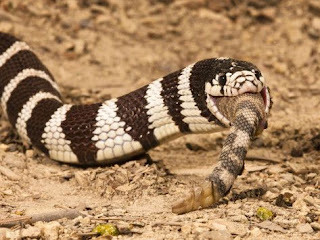 Kingsnakes get their name because they eat other snakes, including venomous snakes like copperheads, cottonmouths, and rattlesnakes. They also eat lots of other kinds of prey, including non-venomous snakes, lizards, turtle eggs, and small mammals. Leer más.